The ACL is a common victim of sports-related trauma to the knee, with an audible crack and visible swelling being tell-tale signs. Early diagnosis and appropriate management is important, since joint injury is a strong risk factor for post-traumatic osteoarthrosis. In a recent systematic review, researchers considered the most useful clinical examination findings for suspected ACL injuries to be positive pivot shift and Lachman tests. Since full clinical examination may not be possible in acute injury situations due to pain and swelling, along with common involvement of other knee structures, imaging is often necessary. With high sensitivity (92-96%) and specificity (92-99%), MRI is particularly informative for confirming presence of ACL lesions. It is noteworthy that these reliability rates apply to each type of MR scanner, regardless of their field strength, from low (0.25 Tesla) to high (3 Tesla)[4,5]. According to Ng W, et al , most ACL tears are complete, involving the middle one-third of the ligament much more than the tibial or femoral attachments. Partial tears (10-35%) may involve one or both of the two ACL bundles to varying degrees, though the anteromedial band is more commonly affected. horizontal appearance of the distal fragment. Mr A, a 58 year old painter was referred by his GP for a right knee MRI study following twisting his knee upon missing a step whilst walking. Initial sharp pain and ‘locking’ progressed to swelling and a sense of knee instability. Symptoms were increased during walking, kneeling and using a ladder. While sport was not involved in this case, in particular, a complete ACL tear was identified which is demonstrated below. If we can be of assistance with knee imaging, contact us on 03 9592 3319. Kijowski R, et al. 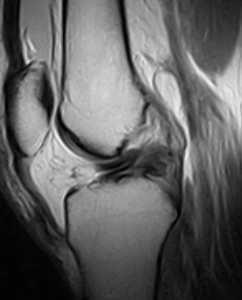 Imaging following acute knee trauma. Osteoarth Cartil 2014;22:1429-1443. Guenoun D, et al. The contribution of MRI to the diagnosis of traumatic tears of the ACL. Diag Interven Imaging 2012;93:331-341. Huang W, et al. Clinical examination of anterior cruciate ligament rupture: a systematic review and meta-analysis. Acta Orthop Traumatol Turc 2016;50(1):22-31. Lokannavar H, et al. Arthroscopic and low-field evaluation of meniscus and ligaments of painful knee. J Clin Imaging Sci 2012;2(1):1-4. Van Dyck P, et al. 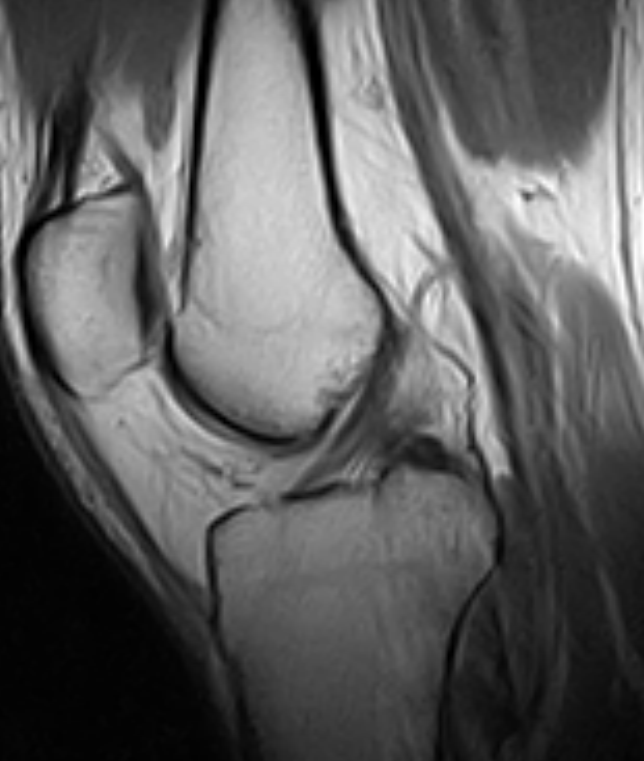 Prospective comparison of 1.5 and 3.0-T MRI for evaluating the knee menisci and ACL. J Bone Joint Surg Am 2013;95(10):916-924. Ng W, et al. Imaging of the anterior cruciate ligament. World J Orthop 2011;2(8):75-84. This entry was posted in Uncategorized and tagged Diagnosis of anterior cruciate ligament injury (ACL) on February 29, 2016 by admin.